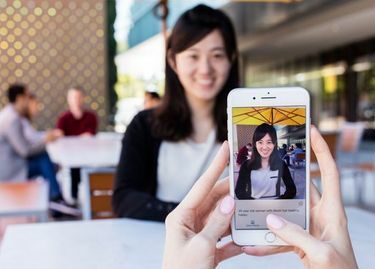 Microsoft’s Seeing AI app, which relies on the iPhone camera, can read out short snippets of text, describe people, identify products and currency denominations, and take a stab at identifying the objects in a person’s surroundings. Microsoft on Wednesday released a smartphone application far more ambitious than its bread and butter Office software: an effort to help the blind see. The free Seeing AI app, available for iOS, can read out short snippets of text, describe people, identify products and currency denominations, and take a stab at identifying the objects in a person’s surroundings. The app relies on the iPhone camera, backed by Microsoft’s machine-learning and image-recognition algorithms. The company didn’t say whether a version would be released for Android phones. Seeing AI takes its name from the Microsoft research project that developed the tool. The Redmond company revealed the effort last year at its Build developer show, demonstrating how a more-developed version might help Saqib Shaikh, a Microsoft engineer on the team who lost his sight at age 7. The app is available in the U.S., Canada, India, New Zealand and Hong Kong. 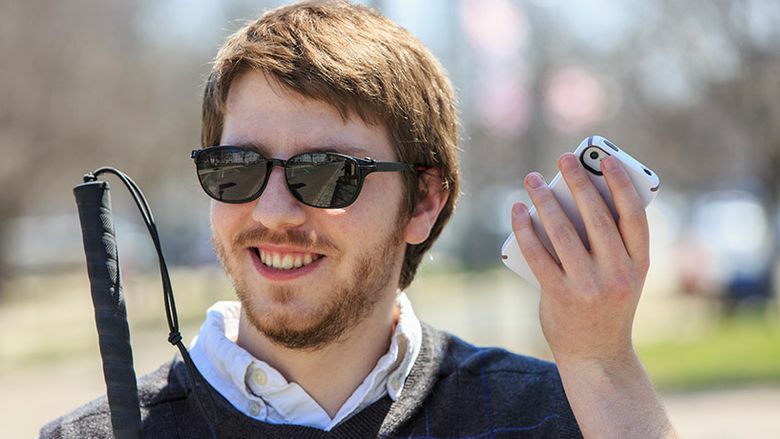 Seeing AI joins a small group of apps designed to help visually impaired people. Most others are aimed at a single task, like identifying a color or reading text aloud.